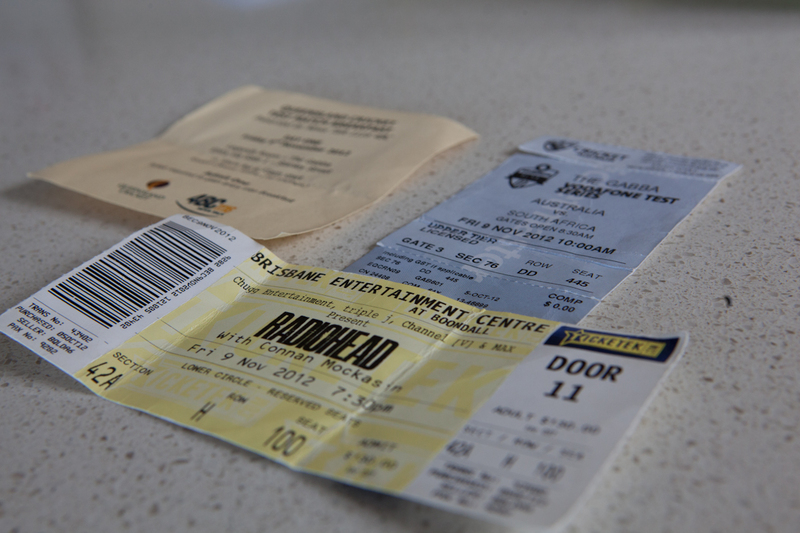 I feel like I need to squee just a little bit… I get to see Radiohead, twice, yep twice in 8 days. After what has been an eternity waiting to see these guys, as I had a golden ticket from Sue mentioned in an earlier post, when I managed to snag some tickets. The day started early, with a 4 at the start of the clock radio coming into focus as I realised it wasn’t Christmas day, but pretty close to it. After ensuring tickets were packed in a very safe area of my bag, it was off to the train. I disappeared into my own world listening to a Radiohead mixed tape on the way to the train, and I when I got the the station, I pulled out my kindle as I was nearing the end of a novel, Shantaram, and it had me mesmerised. 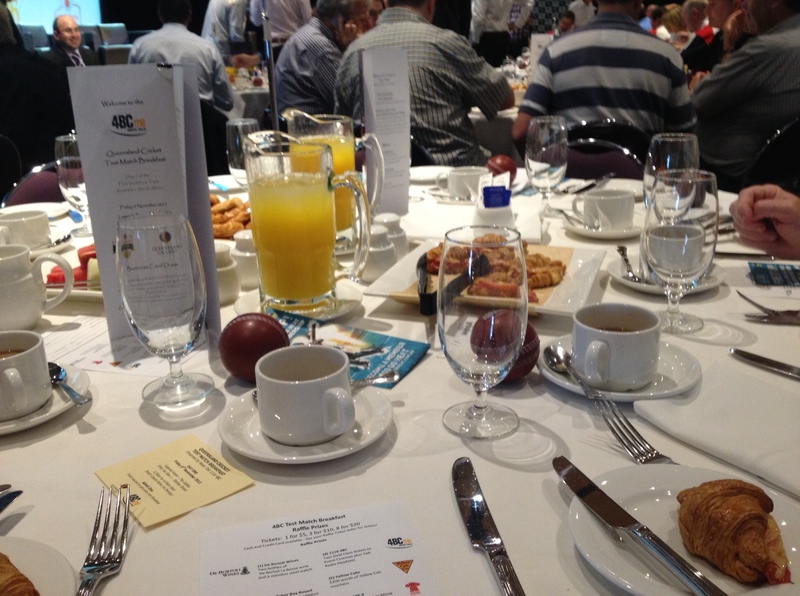 Our day started with a breakfast, hosted by 4BC radio station. We met at 6:15 and headed in. 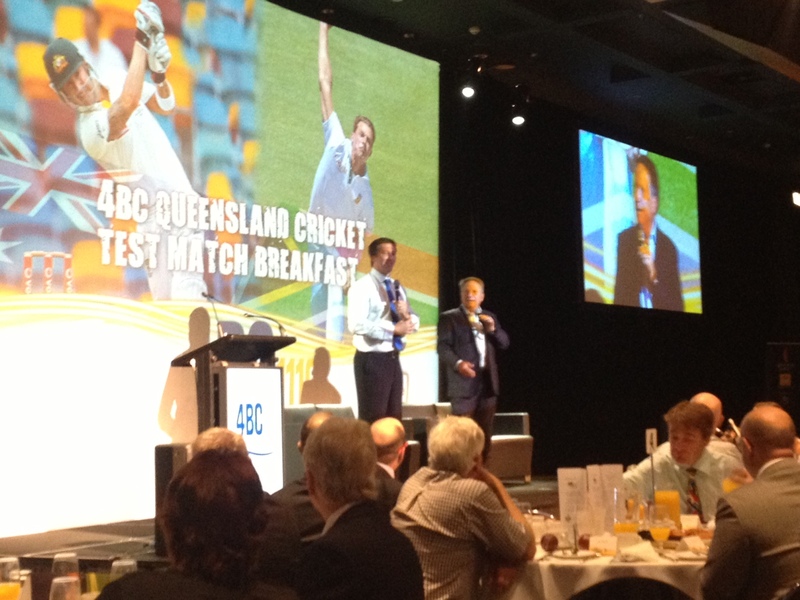 It was a very entertaining breakfast with Ian Healy quizzing Glen McGrath about some of his fast bowling exploits, and his big batting score at the Gabba, as well as other amusing anecdotes. When we got inside, the ground look fantastic, even with the lack of rain recently. We had a good morning chatting, watching the cricket, enjoying tasteless, weak beer in plastic, but still an awesome day. 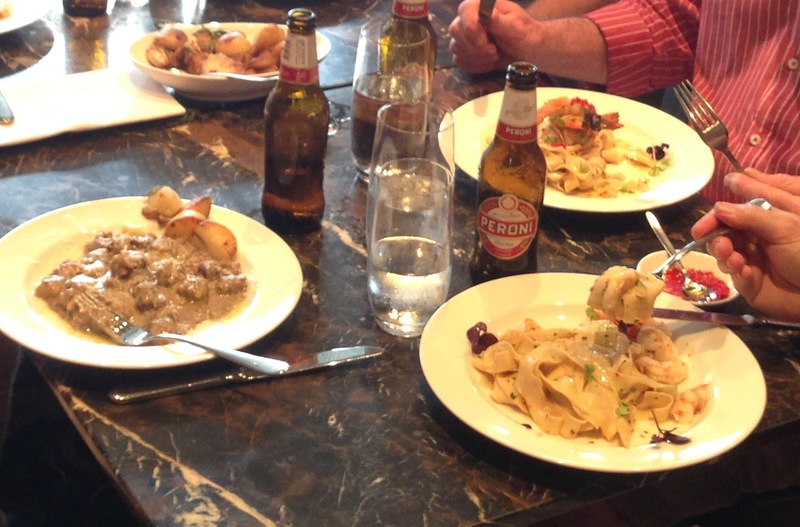 We (Troy) made our booking for lunch, and we headed across to Enoteca for lunch. This was not my normal cricket lunch experience, but the food was superb! It was very pleasant for the 5 of us, Nigel, John, Troy, Tom and I to enjoy some nice beers and the pasta I had was superb! As a side note, our family drove past here the following day on our way to Potted Potter play and I commented that we must head here. The afternoon cricket wasn’t such a good couple of sessions for the Aussies, with South Arica looking very solid. Bad light was called before 5:00, and John spotted lots of rain heading towards us. Very Soon. A call was made to head across the road to the German Club, though we were down to 3 good men, John, Troy and I. After a couple of drinks (OMG they have my favourite beer, czech budvar, on tap! ), Troy needed to get going, so John and I decided to have dinner here. I guess you need to carb up at Dinner for a big day. We both went the low fat Pork Knuckle option, as I may have mentioned that I smelt something that smelled like pork knuckle when we were waiting outside. Fast forward through getting wet trying to get a taxi, then getting wet trudging to the centre as we were dropped off outside Boondall as the road became a carpark. We grabbed our seats, and good seats they were, and listened to buzz of people finding their spots and the electro music while we waited. The band took the stage and launched into Lotus Flower. 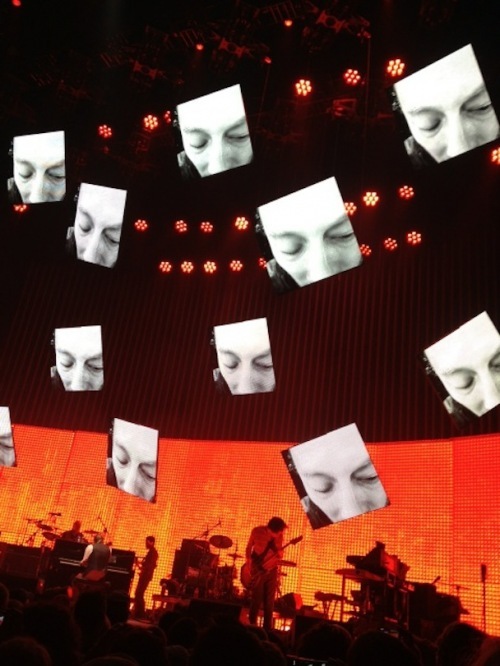 The stage setup was great, with large LCD’s suspending on 4 wires each, which transmitted images from a lot of fixed cameras on each of the band members. The 4 wires allowed the screens to move into different heights and angles. The effect was great! In one song, all of the monitors laid parallel with the stage and just above the group. It mimiced a low ceiling club, with lights strobing off all of the band. I won’t go into the concert in depth, as I think I will do that next week, when I experience with Ryan in Melbourne. Suffice to say that the experience well exceeded my expectations, and I was a little worried that with all the build up to me seeing them, that it would not. I have pasted the set list below, and whilst I knew most songs very well, I had 2 surprises. The first was how much I enjoyed There, There with 4 people playing percussion through most of it. The next song, is one that hadn’t stuck with me before , but it has been in my head since seeing them perform it Seperator, which is from their last album released. They also had 3 encores, which was awesome. Very awesome! I had a long train ride home, and without any sounds since my phone ran out of battery just before the start of the gig. Once John jumped out at Roma St, my ride to Wynnum station was replaying the concert in mind, and chanting don’t fall asleep! A link to their concert at Coachella which had a similar set list and staging. Was there any doubt what the song of the day’s artist would be? Today we have Reckoner as song of the day. This is another one that really stuck in my head after seeing them perform it live. Thanks to John and Nigel for a lot of the photos above. This band does get a lot of hype in the indie scene, and to my mind, rightly so. I was on the “yes that’s pretty cool” when Creep came out, but didn’t get into any other songs at the time. 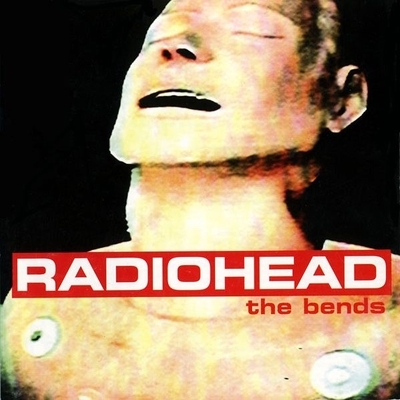 Their second album, The Bends, was a watershed album for me in 1995, and I still play a song or two off it once a week. I will put my favourite song off the album as the song of the day below. Well along comes 1997, and they release OK Computer. Sue and I were just married and living in London at the time. I had obtained my copy from Tower Records (which I seemed to visit at least once a week), and it was the sound track of the year, and still evokes many great feelings of the first year of marriage, hanging out in London and our travels to other European countries every time I hear a track. 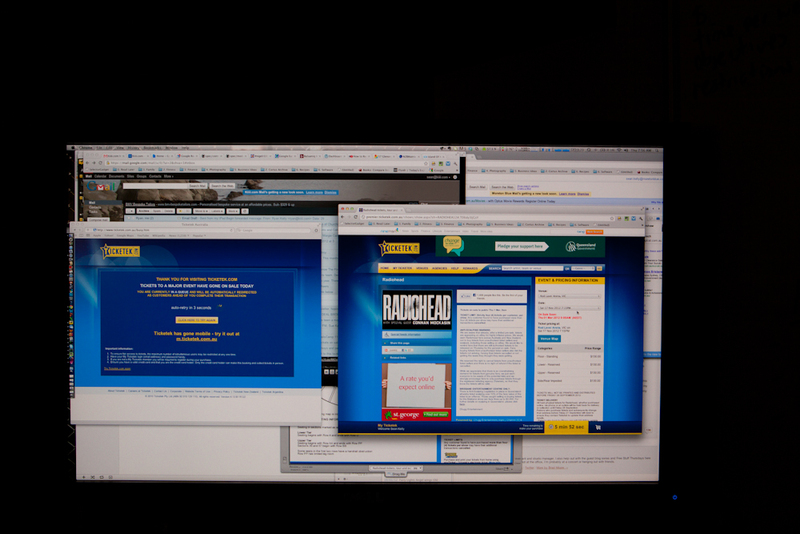 The website went into melt down, and I had multiple computers and phone trying to keep a session open until they went on sale. 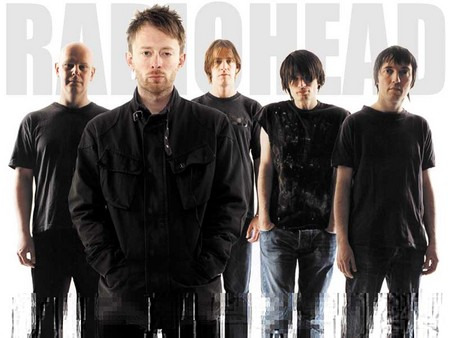 The session kept dropping out, but somehow I jagged a couple of tickets, so I went be indulging in “Radiohead November”, and I will have the best year as we roll towards the date. One week, I am still stoked that I will be seeing these guys, twice, this year.